At Fencing Solutions we pride ourselves on quality fencing installations throughout the Droitwich / Bromsgrove and wider West Midlands area. Specialising in all types of wooden and metal security and garden fencing, we deliver quality security and garden fencing solutions for some instantly recognisable local clients. Due to our continued success we have now expanded areas of operation into Daily and Hourly Post Rammer Hire. Our “Man With A Rammer” Hire will help you get your fencing job done in next to no time at all! 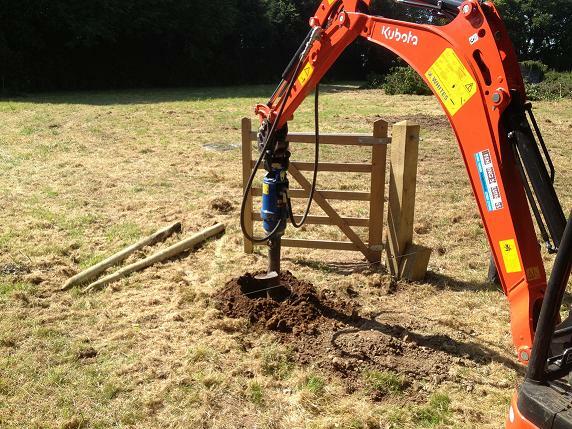 Using our State of the Art Exac-1 Post Rammer and Borer, Fencing Solutions will have your farm or perimeter fence built and erected to order in less than half the time it takes with the more arduous and physically demanding manual process. Reduce the cost of your fencing solutions whilst receiving a sturdy and long lasting installation which will stand the test of time and your budget. Great for quick emergency work or for getting urgently required installation of Farm or perimeter fences done on time. View the full Post Hammer Video below. Video provided courtesy of Exac-One.